Shower time is now a time for new, warm sensation, with this product and its characteristic, enveloping Blue Spice fragrance. Enriched with Myrrh extract and ideal for frequent washing. 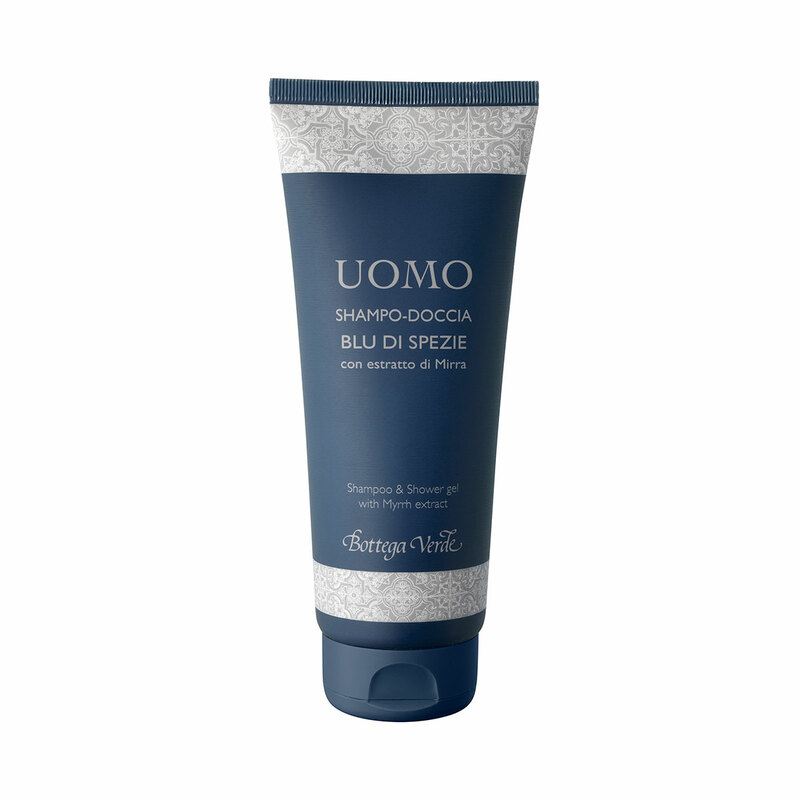 For velvet soft skin, silky hair and an instant feeling of intense wellness. Characterised by an enveloping Blue Spice fragrance, enriched with Myrrh extract, it is also ideal for frequent washing. For velvet soft skin, silky hair and an instant feeling of intense wellness. Scent:Head notes: apple, bergamot and lemon; heart notes: rose wood, cinnamon, cloves and carnation; base notes: vanilla, cedar wood, sandalwood and vetiver.